Today you will discover what Causes and the treatment for Split toenails. 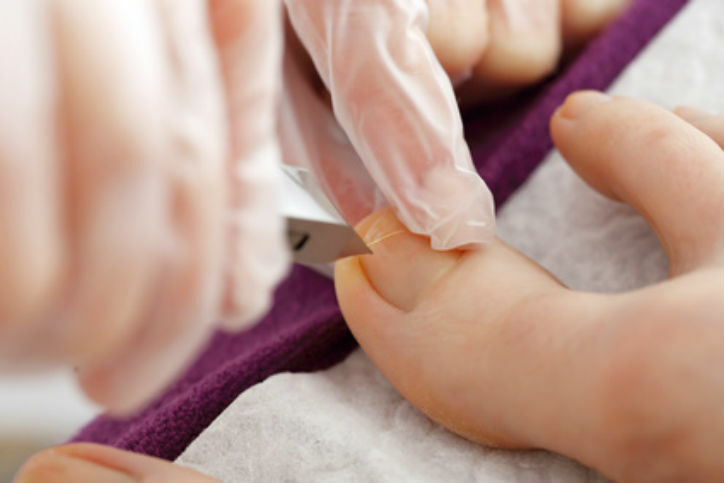 Splinting fingernails and toenails are among the most common concerns that are usually presented to dermatologists. Although it affects both genders, the condition is commonly reported by women and the elderly. Today we are going to look at some of the ways that you can treat this condition finally and prevent it reoccurring. So What Causes Split or Cracked Toenails? Splitting and cracking of the toenails are an indication of something is not right with the health of your foot. Although most people do not pay attention to our toenails, as we should, this condition can cause many discomforts. Also referred, as onychoschizia split toenails are sometimes painful and unaesthetic. This condition can also predispose your body to various health conditions including bacterial infections as well as fungus under the nails. Below are some of the causes of the split toenails. There are various predisposing factors for cracking nails. Sometimes the remedy to this problem may be as simple as making lifestyle changes. However, in some serious cases, you need to seek medical intervention. Regardless of the cause of the split nails, it is crucial to restoring them to full health. Let’s start by looking at the main causes of split toenails. Too much or inadequate moisture is a big problem for your toenails. If there is too much moisture, it is trapped underneath the toenails causing fungus to grow. In addition, when there is excess moisture the nails soften making them weak. This makes them break easily. -Although it is not possible to stay away from water, you shouldn’t take too much time with your nails submerged in water. -On the other hand, you should not let your toenails to dry out completely as this can also cause split toenails. Mostly this happens if you live in areas, which have excessively dry weather. If you use air conditioning, it can also make the air inside your home dry. In case you live in any of this area, you should ensure that your toenails are well moisturized to avoid cracking. To do this, use a cotton swab to apply the olive oil on your toes and massage for a few minutes. By taking simple care of your toenails, you can make sure that they do not experience too much or too little moisture. Another main cause of split toenails is an unhealthy diet. In fact, toenail problems are one of the indications that you are not consuming healthy food. As you probably know if your body is not getting the right nutrients, you tend to experience various conditions that affect your health negatively. Split toenails are one of the indication that your body is not getting the right nutrients. Iron deficiency(1) is one of the primary issues that cause the issues with the nails. When the nails become brittle, they start to crack. Iron, being one of the core nutrients that help to get healthy and strong nails will greatly help in maintaining healthy nails. If you are not sure of the best nutrients or the diets that should help you maintain healthy toenails, you should consult your doctor or dietician to help you out. Although the toes are designed to be tough, if you do not protect them from daily wear and tear as well as infection, they will gradually become weak. Remember, similar to other trauma; nail trauma does not happen all at once. We cannot refute the fact that you can drop something heavy on the nail, making it split open, but in most cases, the trauma develops over time. If you exercise regularly or wear shoes that do not fit you properly, it can cause splitting. This doesn’t mean that you have to be very active for this to happen. In fact, standard daily walking can also cause a lot of rubbing that can lead degradation of the nail. Remember wearing ill-fitting shoes can cause the nail to rub against the interior material-causing problem. This will cause minor trauma every time and when you combine it over time, it causes the nail to crack. In addition, this could also lead to toenail fungus. For this reason, it is crucial to take care of your toenails. While you cannot always be ready for accidents or prevent them from happening, you should be vigilant to ensure that your toenails are not traumatized by wearing ill-fitting shoes. Besides, switching your shoes regularly will ensure that your feet breathe and heal any trauma. This condition may also lead to cracking and splitting of the toenails. In most cases, toenail fungus develops when there is excess moisture trapped under the nail bed. Since fungus thrives incredibly well in moist environments, people who wear socks regularly tend to experience this problem frequently. If this is the case, consulting your doctor can help you in getting antifungal socks that eradicate this condition from happening. If the condition is not treated properly, the fungus tends to grow very fast, and this may cause the nail being lifted from its bed. If the pressure is, too much on the nail’s arch, it may split. Sometimes, if the condition is severe, it can cause the edges of your nails to pull the surrounding skin. The sad news about this is that the nail fungus doesn’t go away unless it is treated. The more you leave it untreated, the more severe it becomes. For this reason, you should pay attention and treat as early as possible when you start seeing the symptoms. One of the symptoms that develop at the earliest stages is a small black dot at the nail’s middle. However, by taking care of the nails and availing the right medical treatment at early stages, you can control it finally. We have various antifungal treatments(2) that you can purchase at the counter although doctor intervention is recommended is the condition is serious. How to Repair a Split Nail. If you notice your splitting toenail at early stages, it is possible to fix the condition from home. However, if the nail has experienced a lot of trauma and has a wide split, you should see a doctor so that the area is cleaned to avoid further infections. In some cases, the toenail is removed to avoid the risk of infection. Today we are going to look at some of the home remedies that can help you treat the toenail splits from early stages. Before you can try any of the following treatment, you should ensure that the area is well cleaned and dried properly. As mentioned previously you do not want to leave any moisture trapped under the toenails as it can lead to further problems. You can find a nail repair kit from your nearest pharmacy. This kit usually contains acrylic polish that you apply to the affected nail. This will assist the nail to hold together. To help cover the nail crack you can also use the antifungal nail polish after using the acrylic solution. If you like, you can also use clear nail polish to hold the nail together instead of purchasing the nail polish. If you have a severe case especially caused by trauma, you should consider using antiseptic cream. In most cases, toenail split caused by trauma are very painful and may be accompanied by bruising, bleeding and in some cases infections. In such a case, you should consider using an antibacterial cream such as Neosporin to treat the area. You simply need to clean the area well, apply the cream, and use a bandage to cover it. This will not only keep the area clean but also reduce the risk of infection. While this should not be the first thing you use, super glue is also a viable option especially if you would want to repair a seriously damaged nail. Applying the glue in a small amount will help seal it in a matter of minutes. The best thing about using superglue is that it is clear, so it will not be visible easily. For better results, you can also cover it with a cosmetic polish. However, this is not a good option if you have a fungal infection or open wound. Avoid using nail cosmetics for sometimes. You should also avoid using fake porcelain nail. Keep away from strenuous physical exercises until your nail heals. For instance, running before the nail heals will aggravate the condition. Apply tea tree oil or Manuka oil on the affected area. This oil is helpful as they contain antifungal and antibacterial properties that help in accelerating the healing process. Keep away from nail polish removers that contain formaldehyde or acetone. In their place try, using nail polish removers made using natural and safe materials. Most often, you can avoid split or crack toenails provided you take proper care of your nails. As mentioned above, this condition is often caused by negligence, poor diet, and weak immune system. By paying attention to ensure that the health of your toenails is safeguarded, you can prevent this condition from happening or catch it in early stages. Which is then easier to treat. However, if you find your toenails being exceedingly painful or notice any infection, you should visit a doctor. In severe cases, the nail may be removed to prevent further damage. The doctor may also prescribe an antibacterial or antifungal, which is effective in fighting the infection.